Today, the Minister Sinjari, accompanied by Mrs. Kader and the entire delegation was invited by the President of the Defence Committee to the Senate of the Republic, Nicola Latorre to hold a hearing in front of the entire Defence Committee. Minister Sinjari thanked for the kind welcome and military and humanitarian support of Italy. He then presented the situation in the Kurdistan Region, the progress made in the fight against Daesh, such as the recent recapture of Sinjar, thus freeing the artery of communication between Raqqa and Mosul, the humanitarian emergency in progress, listing finally the priorities in terms of humanitarian assistance to refugees and displaced persons and military instruments to supply to Peshmerga to better handle this situation became unsustainable. All this, said the Minister, exacerbated by the absent behavior of the central government that does not send the budget by about 16 months and is not collaborating from a humanitarian and military point of view in the fight against Daesh. Finally, concludes Sinjari, in order to defeat Daesh, it is necessary to defeat it not just on military level but, overall, on cultural level, through the education imparted in schools. President Latorre has thanked, on behalf of all political groups, Peshmerga forces, the Kurdistan Regional Government and all the Kurdish people in the fight against Daesh. "We know - said the senator Latorre - that there are needs of other armaments and health care to continue the battle against Daesh and Italy intend to sensitize the Iraqi government in this regard. As for the further commitment that Italy will be able to provide to the Kurdish Peshmerga, when the Government will send Parliament its own decisions, we will be ready to approve them with consensus, "said Latorre. 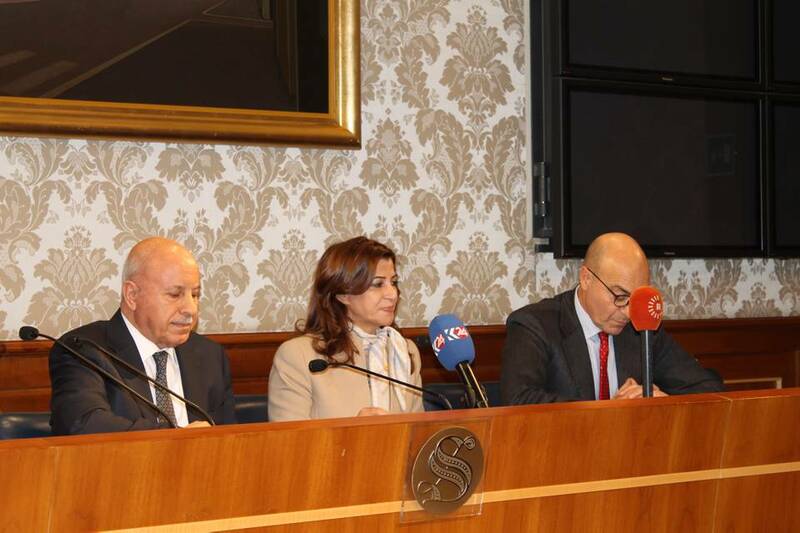 Minister Sinjari and Latorre President issued a press conference at the end of the hearing to the Kurdish and Italian TVs.